Visible 24-7 workplace communication is essential to keeping a shop running efficiently, profitably and safely. 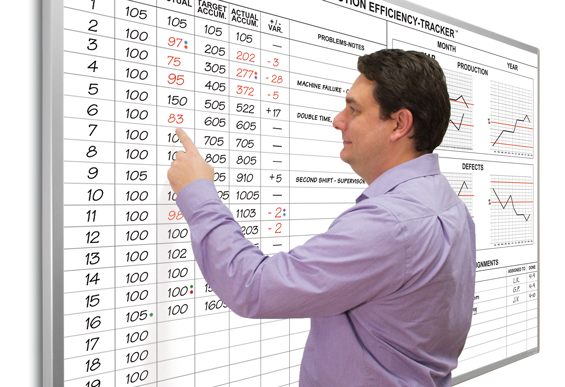 These unique printed steel magnetic lean manufacturing scoreboards display your Key Performance Indicator results and are field-proven effective for communicating production metrics and trend tracking. They visually motivate and keep production efficiency at peak levels by making sure everyone is aware of what's happening 24/7. These are the boards our manufacturing clients tell us have been the most effective.